This thread is privately moderated by ivanc, who may elect to delete unwanted replies. 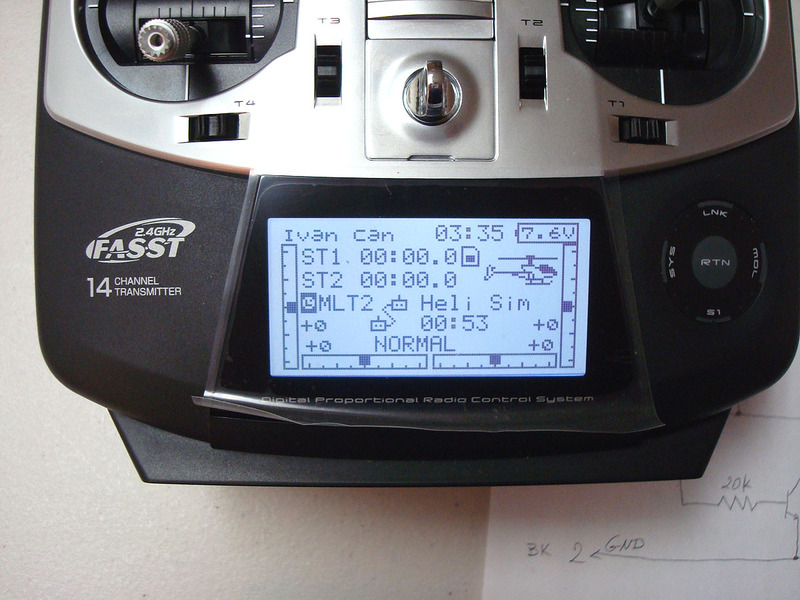 Note that the power switch on the module works only with the higher end transmitters - the 8FG, 9C, 10C, 12FG, 14SG and 18SZ and will not work with the rest from the above list as they do not provide unswitched battery power to the trainer port. Spektrum discontinued the DM8 module in 2016. There are no longer reliable sources for NOS DM8 modules so I can no longer offer the modified DM8 module. 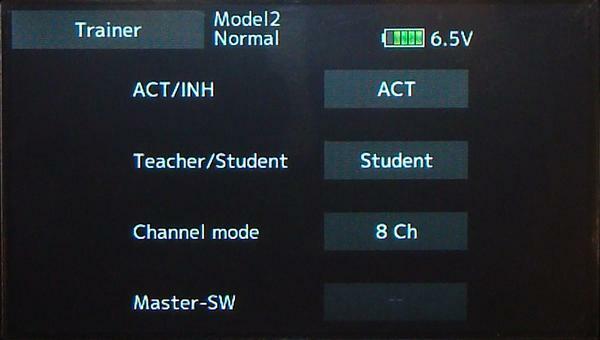 The transmitter models in red letters above can also use the modified DM9 module but only with standalone receivers and even then it may not be safe to use them as on the lower-end Spektrum receivers the preset fail-safe works only on the first channel (marked THR on the receiver). end of text added on February 5, 2017 and updated on February 9, 2018. 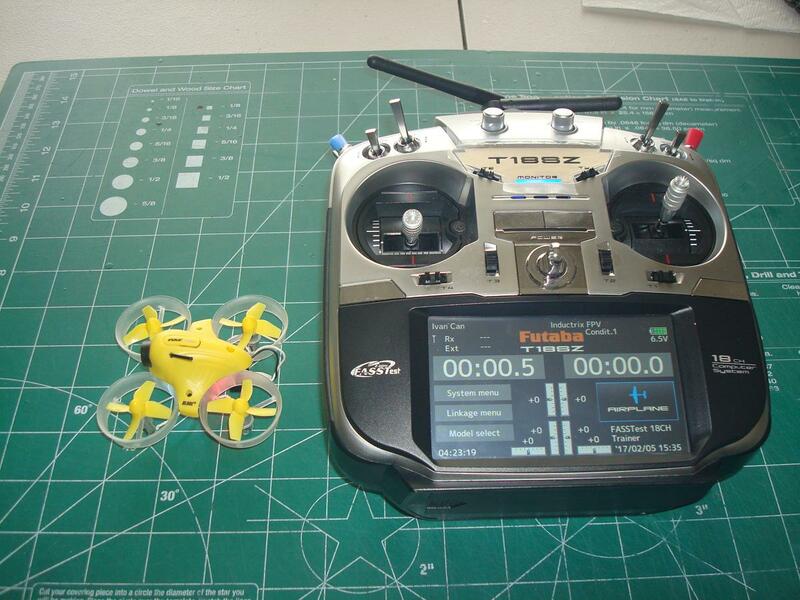 Download the Modified Spektrum DM9 for Futaba 8FG, 12FG, 14SG and 18SZ Instructions. 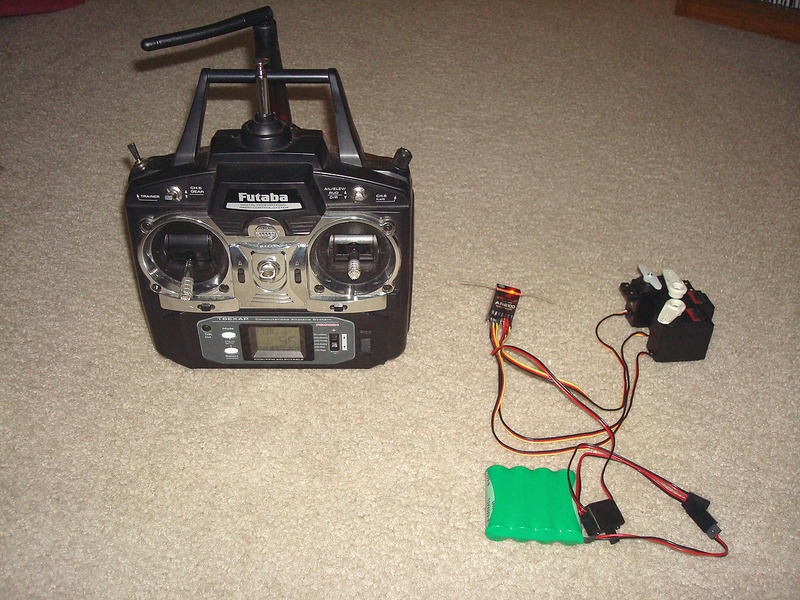 The module uses its own power switch to turn on power to the transmitter encoder and the DSM2 module. When the radio power switch is left in the off position and the DM8 power switch (soldered between the trainer port and the module) is turned on it powers both the DM8 module and the radio but only the stick encoder/mixer. The internal 2.4GHz RF circuitry is left without power. This is the reason why the extra switch is used. 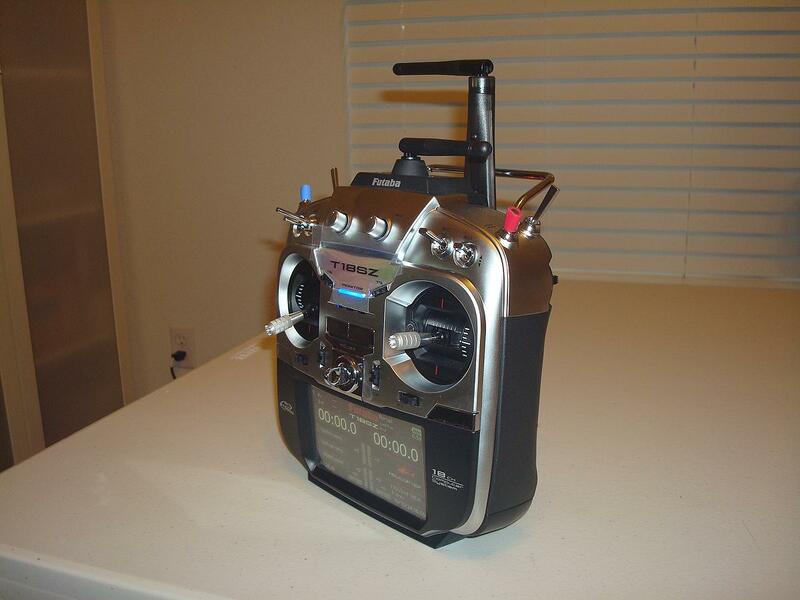 If the switch was omitted, powering up the radio with its own switch will provide power to the module but it will also power up the whole radio, including its own 2.4GHz RF circuit so it will use more power from the battery. 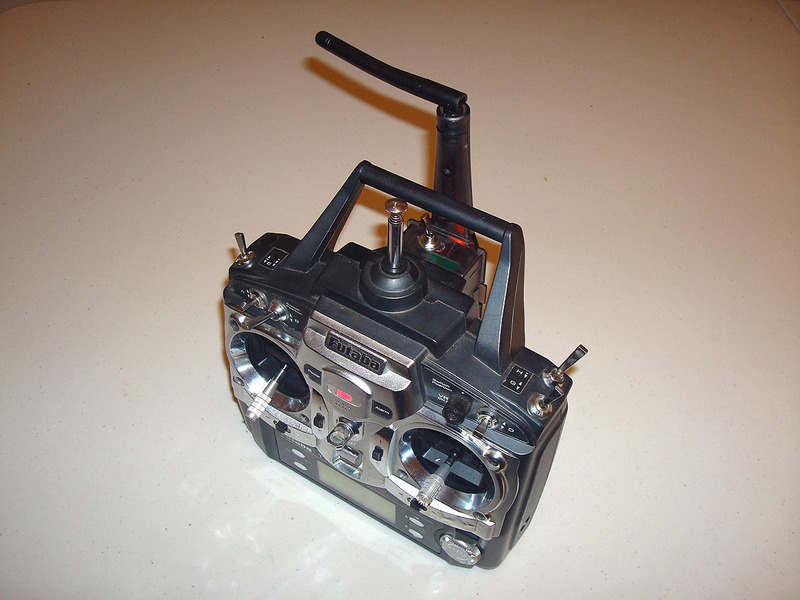 Without the module power switch you can still turn on the transmitter without RF by either enabling the throttle stick position warning, moving the throttle stick above idle then power the transmitter and on the warning screen select no RF or by holding the RTN button while powering the transmitter then selecting from the screen no RF. After several seconds the radio shows the main screen. The right monitor light on the 8FG flashes slowly to show that the internal RF circuitry is not working. Last edited by ivanc; Mar 22, 2019 at 06:21 PM. 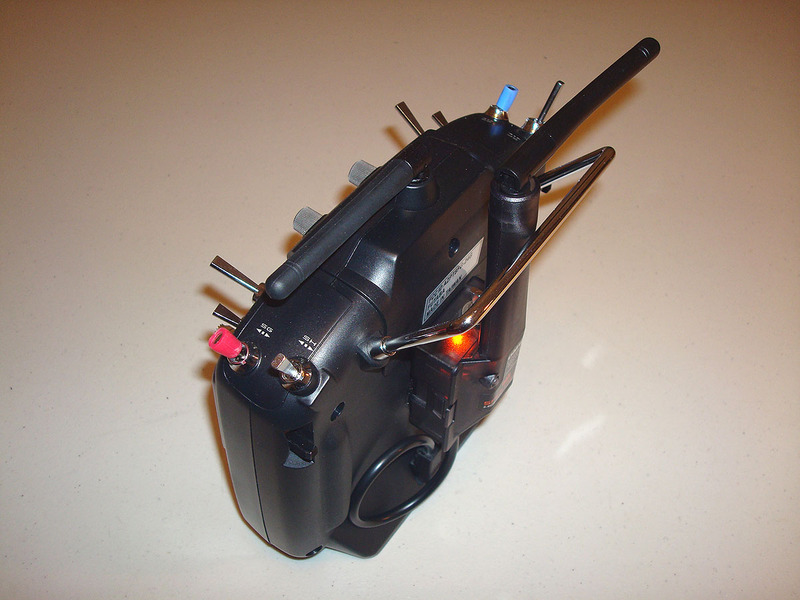 The following pictures show the module on the back of some of the compatible transmitters. Last edited by ivanc; Mar 22, 2019 at 06:00 PM. 1. Create a new model. Select the new model. 3. Reverse channels 1 through 8. This is needed for compatibility with Spektrum which uses opposite channel reversing. 4. Leave endpoints (ATV) at 100% for now. Later you can tweak this if needed. I never had to change them with UMX models. 5. Set any dual rates and exponential you may want or you can leave this for later when/if you want to tweak the model. I found that UMX models need very little if any negative expo. My "standard" high/low rates for UMX models are 100/70% but most often I fly on high rates. 1. 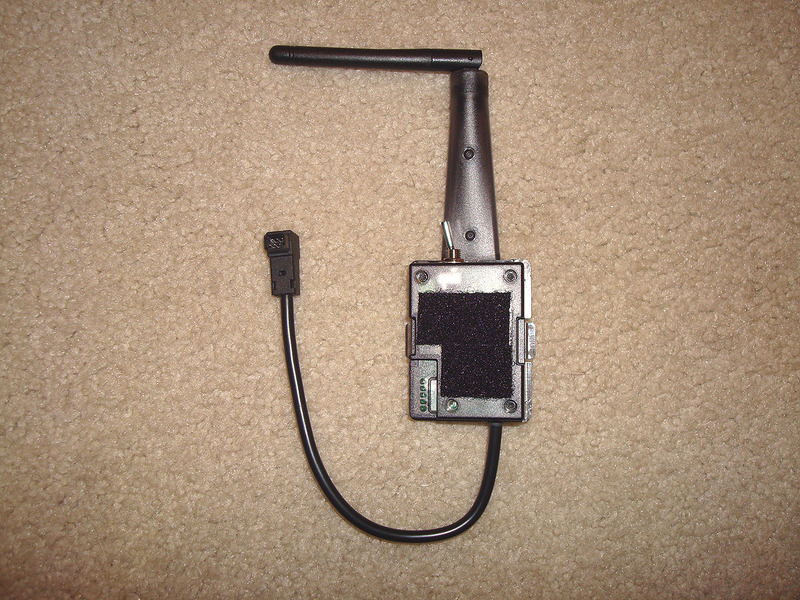 Attach the modified module to the back of the transmitter as shown in the post above. You can use the provided hook and loop material. 2. 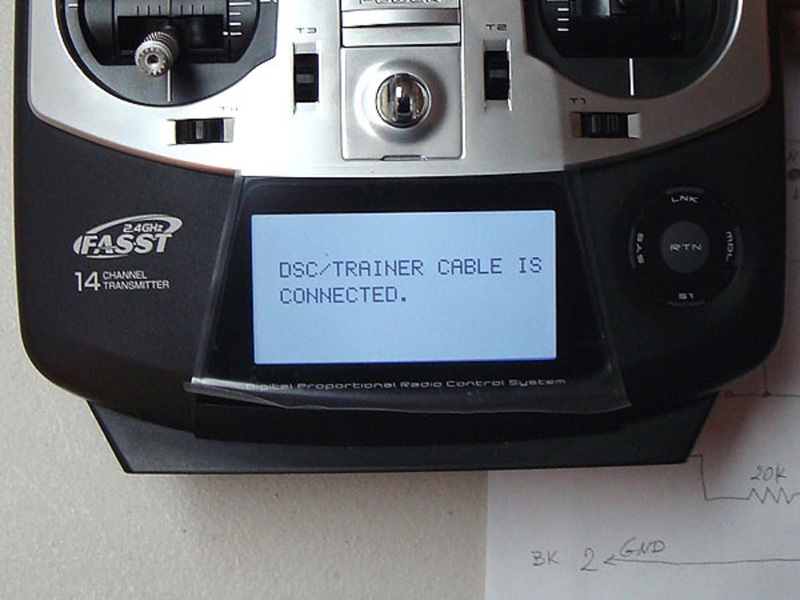 With the transmitter turned off connect the trainer connector to the transmitter trainer port. If the transmitter turns on automatically, wait for it to finish booting up then flip the switch on the modified module. 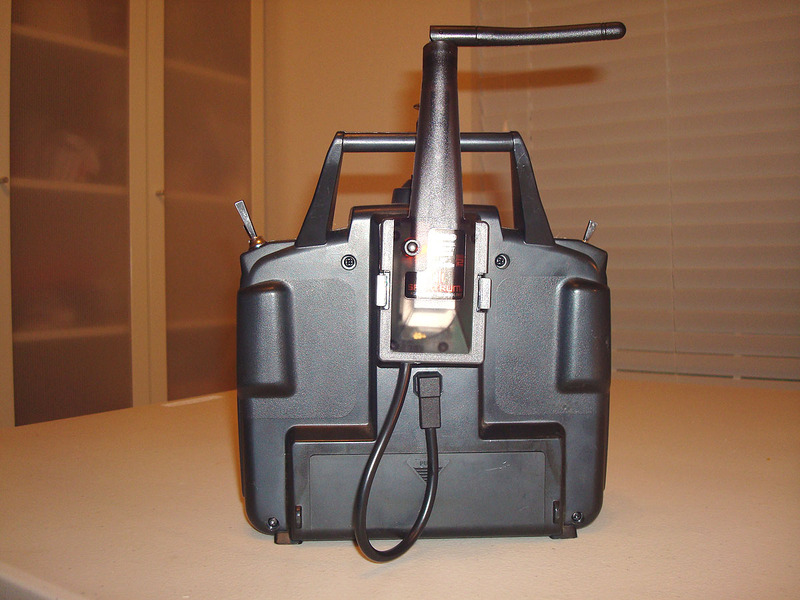 For a UMX, plug in the aircraft battery. 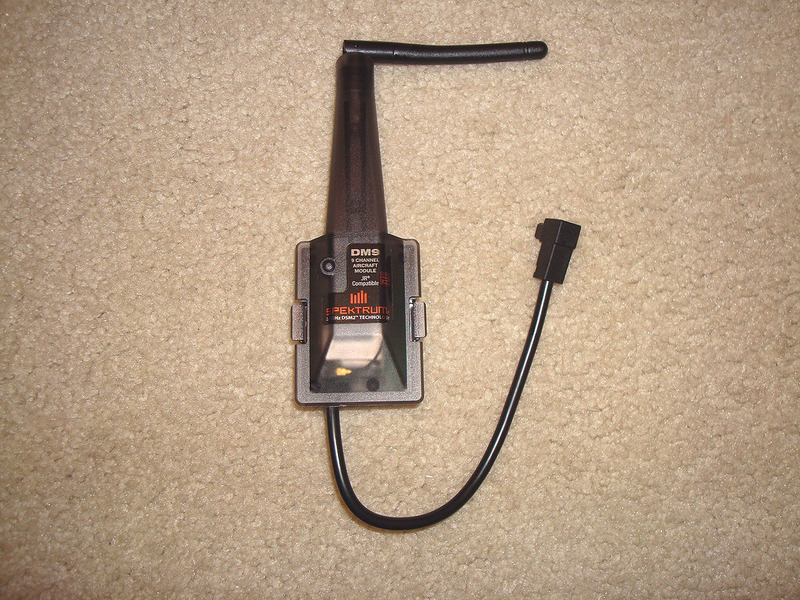 The receiver will start flashing rapidly indicating it is in bind mode. 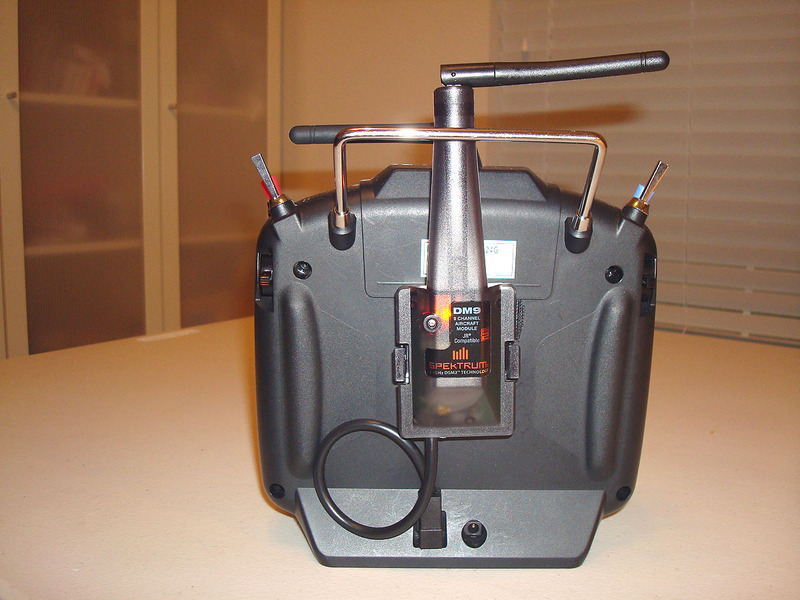 For a regular receiver insert the bind plug into the BIND/BAT port and connect a battery to the receiver or plug in a battery to the ESC. 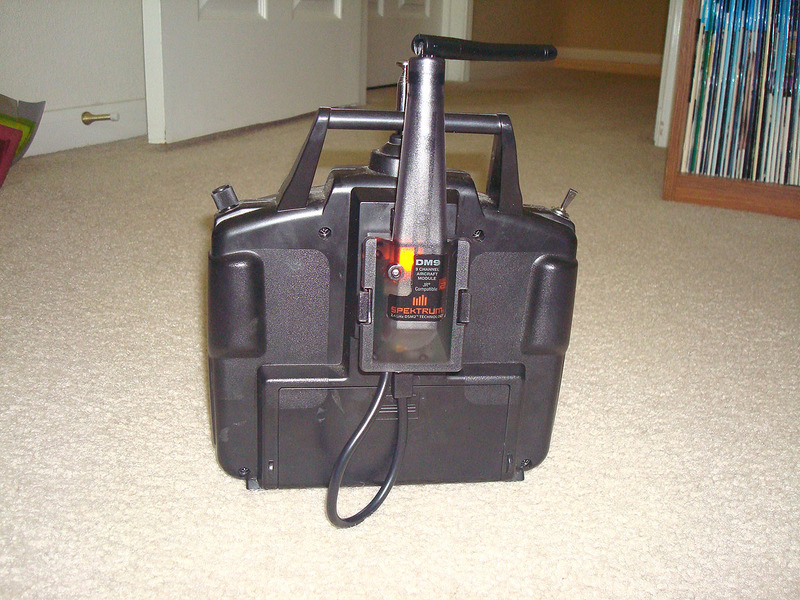 A receiver battery can be connected to any unused receiver port. The receiver will start flashing rapidly indicating it is in bind mode. 4. With the transmitter still turned off, press and hold down the BIND button on the module then turn on the switch on the module. The module will start flashing indicating it is in bind mode. When the receiver no longer flashes rapidly you can release the BIND button on the module. 5. Wait for the bind process to finish - this will be indicated by the lights on the module and receiver coming solid on. 6. Remove power from the receiver and if using a standard receiver remove the bind plug. 7. Turn off the switch on the module. 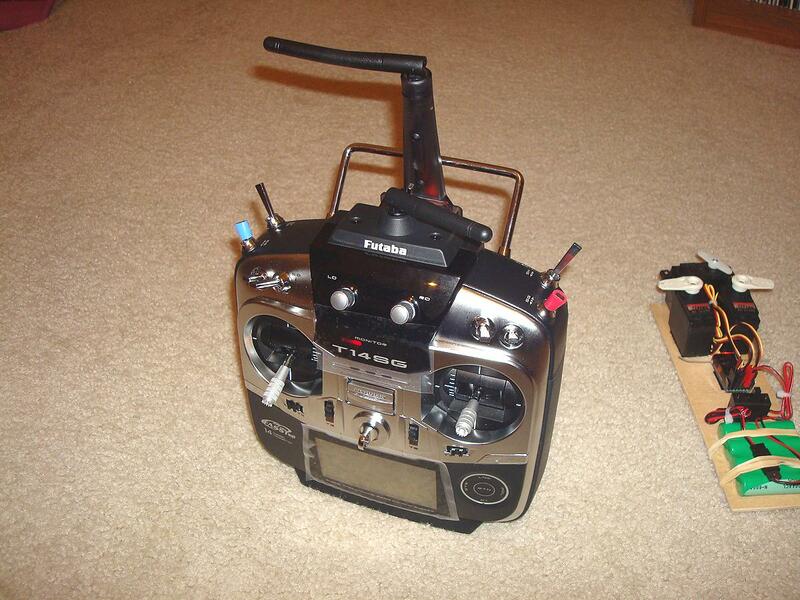 IMPORTANT: Specific to DSM2/DSMX receivers is that the fail-safe is set at the receiver during bind. Because of this the above binding procedure has to be performed for each model at least twice - once to establish initial connectivity between the module and receiver and a second time after the model set up has been finished. This second bind will set the correct fail-safe. If you make any major changes to a model set up, especially channel reversing, perform the bind procedure again. 1. With the receiver power turned off and throttle stick all the way down, turn on the switch on the module. Wait until the module finishes powering up - the light on the module to come on. 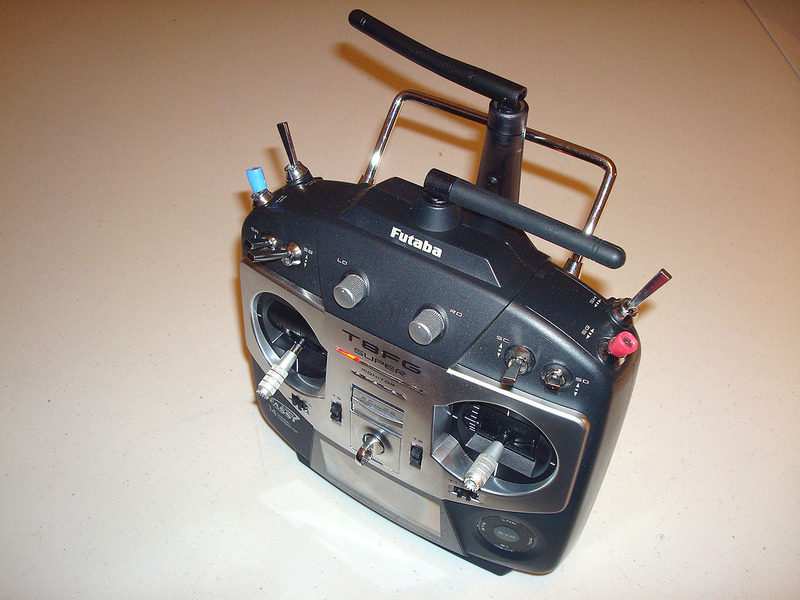 When the transmitter power switch is left in the off position and the module power switch is turned on it powers the module and the transmitter but only the stick encoder/mixer part of the transmitter. 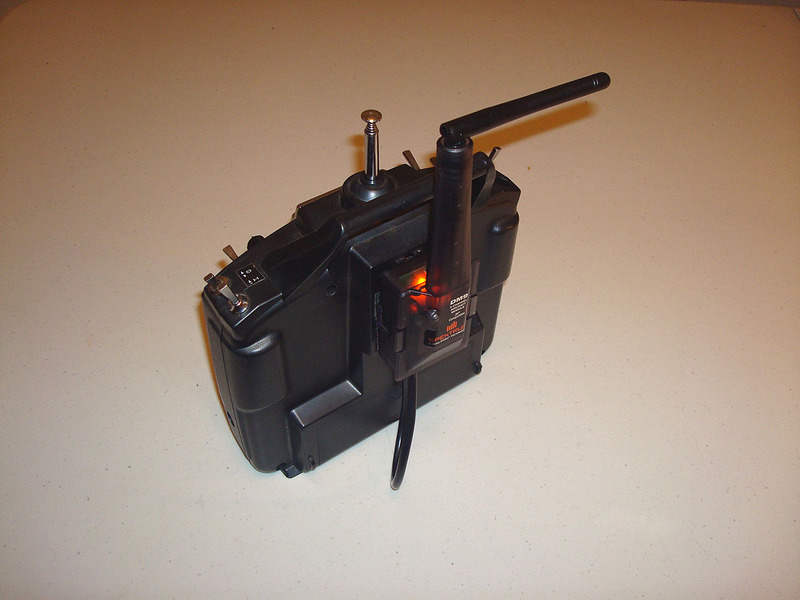 The transmitter internal 2.4GHz RF circuitry is left without power. This has a double effect - 1) does not pollute unnecessary the 2.4GHz band and 2) saves power. If you use the transmitter switch to turn on the system it will provide power to the module but it will also power up the whole transmitter, including its own 2.4GHz RF circuit so it will use more power from the battery. 2. 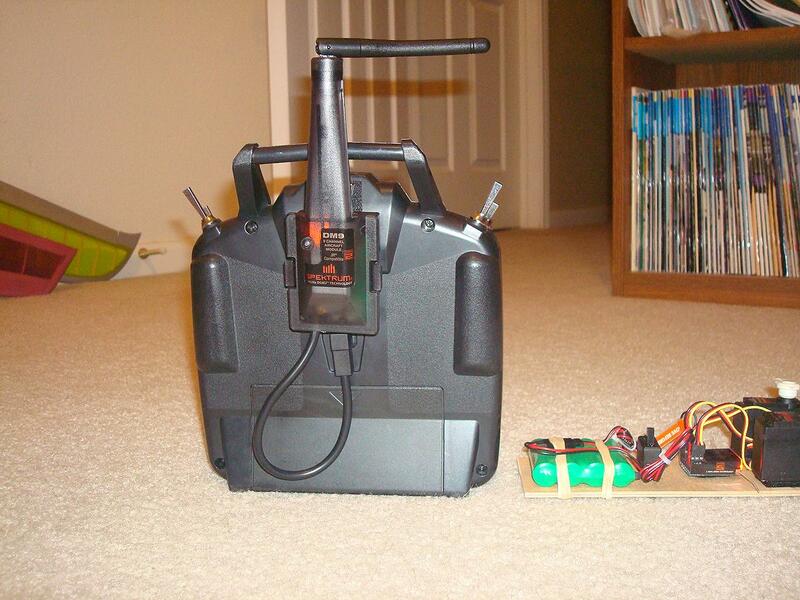 Power up the receiver/aircraft. Wait for a solid light from the receiver indicating communication from the module to the receiver. 3. Perform a pre-flight check to make sure all control surfaces move in the desired direction. 4. Before the first flight for the day on that model do a range check. 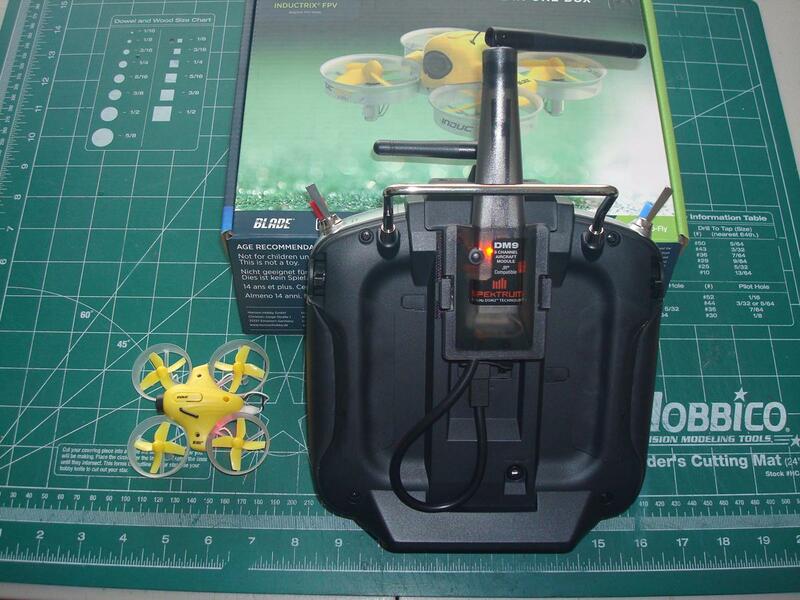 Place the aircraft on a surface at least 2-3 feet above the ground. 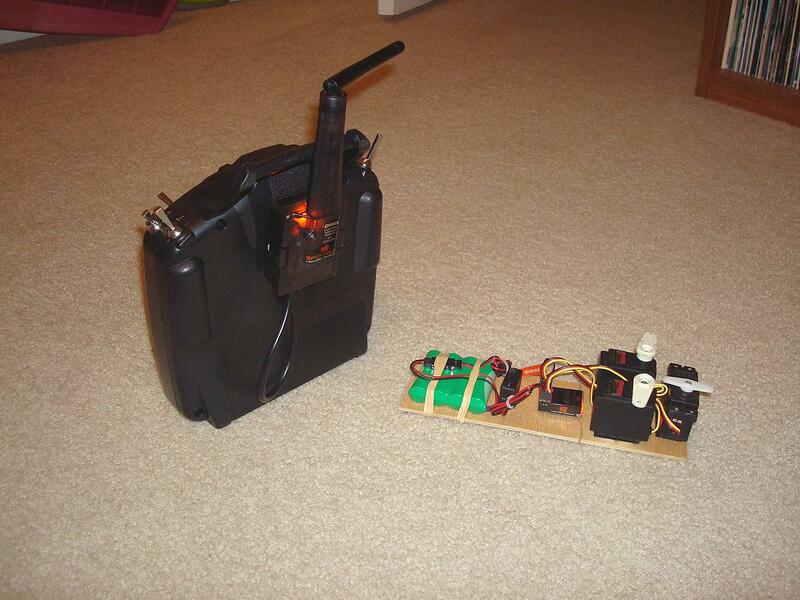 Press and hold the BIND button on the module and walk 20 paces away - you should have control over the aircraft. 5. If the pre-flight and range checks are good, enjoy flying the aircraft. 6. 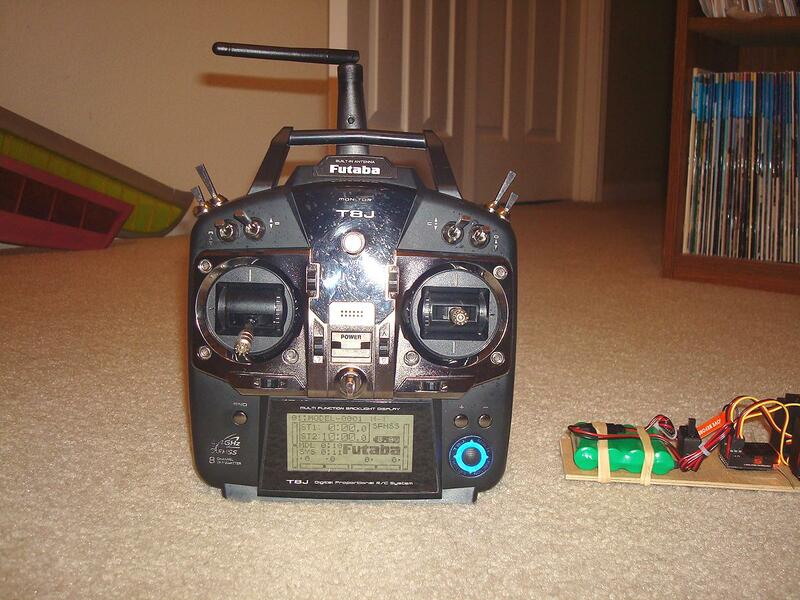 After landing, remove power from the receiver. Last edited by ivanc; Mar 22, 2019 at 06:23 PM. As of February 2018 the modified module is still available but note that I make them to order. What that means is that I have all parts in stock except for the stock, unmodified DM9 module. You will have to make payment after which I will order the module from Horizon Hobby, modify and test it when it arrives from Horizon then ship it to you. Last edited by ivanc; Feb 09, 2018 at 10:09 AM. How can I get my hands on one of these?? Do you make them? PM the OP - he does make and sell them. I have one for my girlfriend - works a treat. 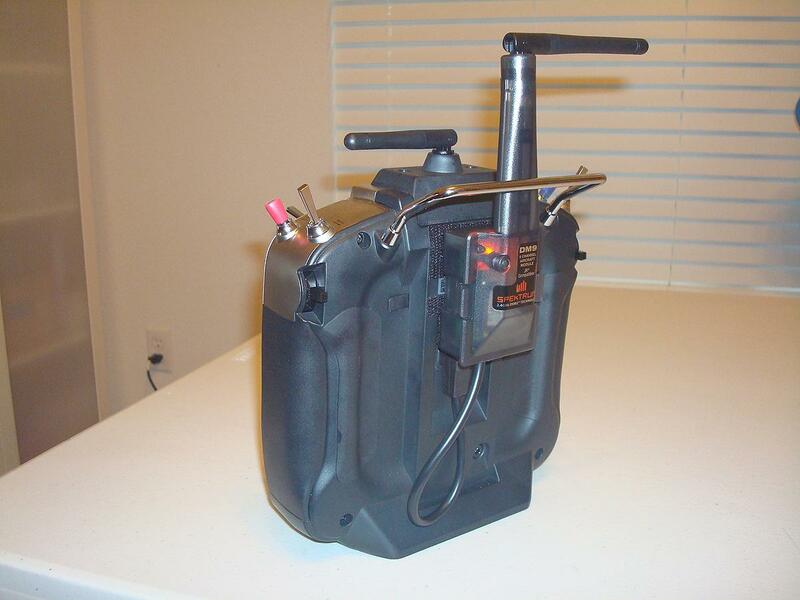 Hey Ivan, I'm interested in one of these if you are still making them. I want one for my futaba 8j. Just let me know! Thanks. Did you work out what aux channel changed from low to high rate? Hi Ivanc I'm also interested in one of these if you are still making them please let me know! Thanks. I would love to have one of those. How much would it be? Take my money !!! I want one for my T14SG, how much for the netherlands ? 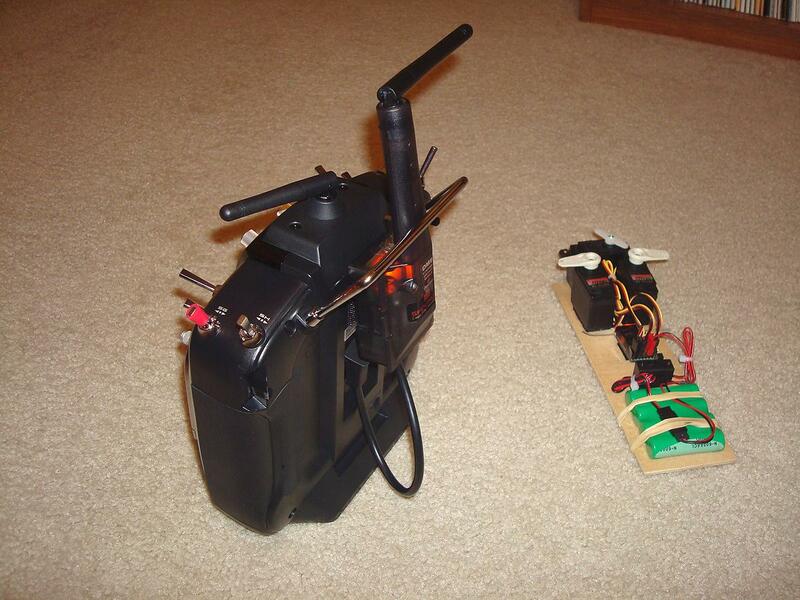 Has anyone succeeded to fly the tiny whoop with this? 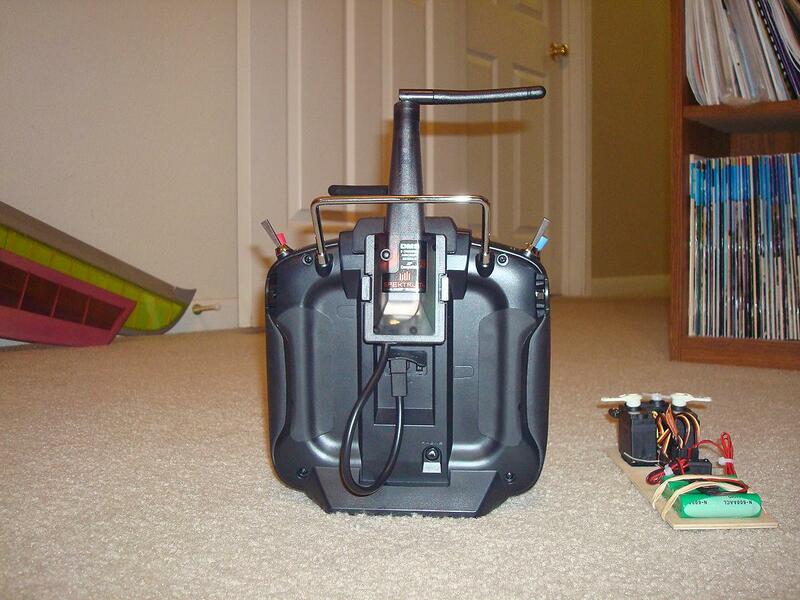 I have a futaba t8j and i want to buy an inductrix fpv bnf.